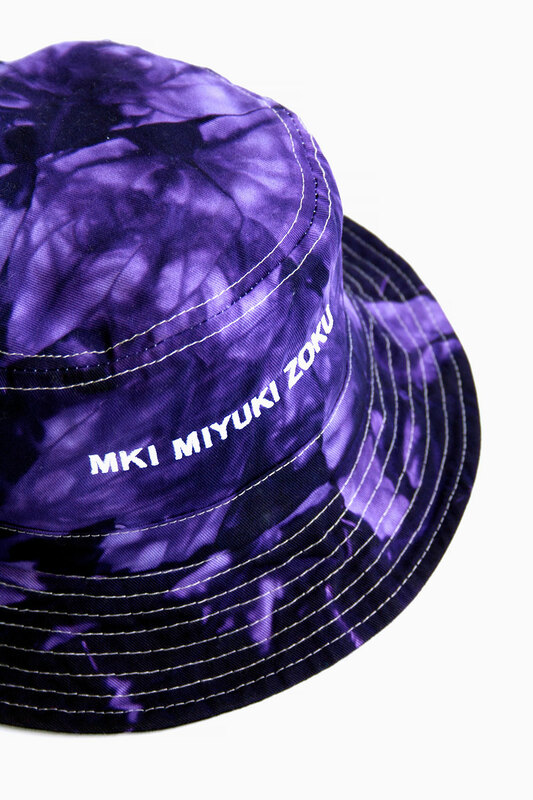 mki tie dye bucket hat. 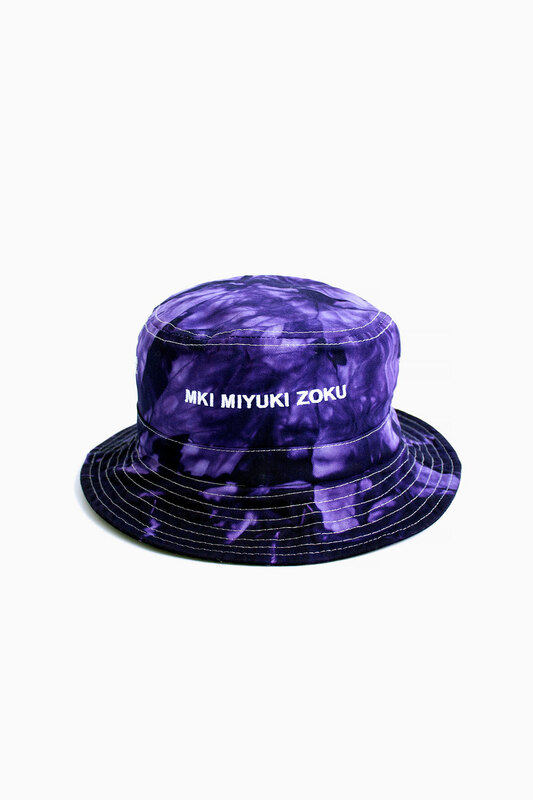 100% midweight cotton twill. 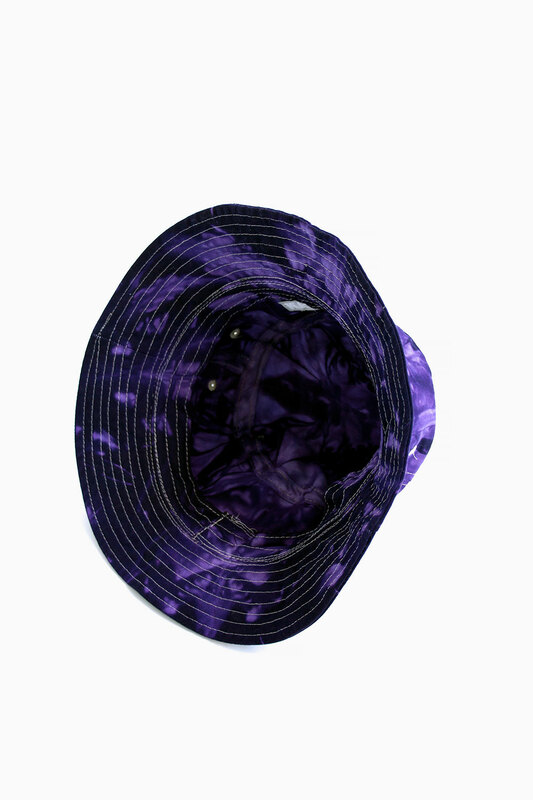 short brim. hand dyed. mki embroidered logo across the front. no two tie dye garments are exactly alike. you will notice slight colour, and pattern variances from one to another.